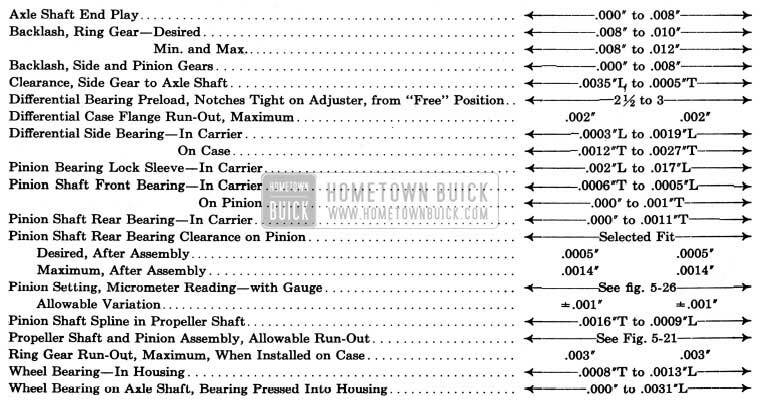 NOTE: The 1950 Buick rear axle ratio is indicated by a number stamped on bottom center of axle housing. 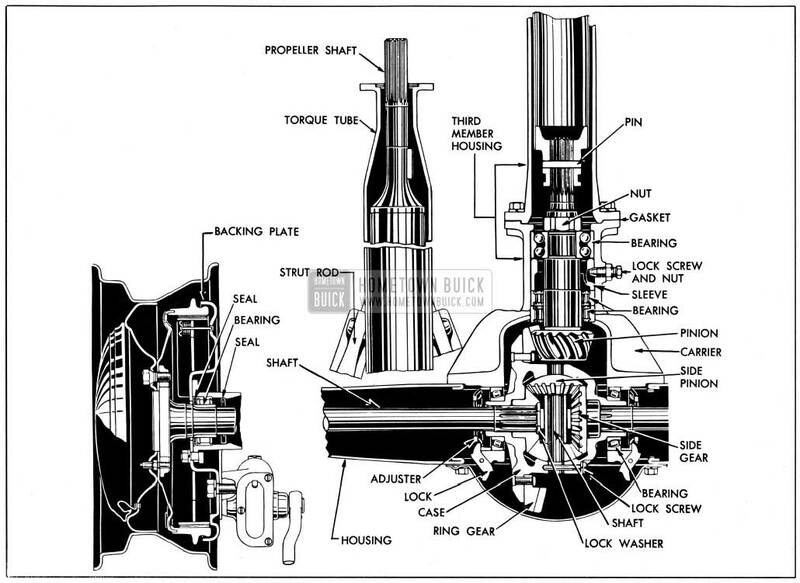 The 1950 Buick rear axle assembly is the semi-floating type in which the load is carried on the axle shafts through bearings enclosed in the axle housing. See figure 5-l. It has a torque tube drive and a Hypoid type spiral bevel ring gear and pinion set in which the centerline of the pinion is below the centerline of the ring gear. See figure 5-19. The splined inner ends of the axle shafts are supported by the differential side gears. “Horse-• shoe” washers retain the axle shafts in the side gears; washers are held in recesses in side gears when differential pinion spacer is installed. The pinion spacer is located between the inner ends of the shafts and controls end play of axle shafts. The outer ends of the axle shafts are supported in the axle housing by Hyatt roller bearings. Seals are provided on both sides of each roller bearing to exclude dirt and to prevent leakage of oil upon the brakes. Rear axle is equipped with either standard or optional gear ratios. See paragraph 5-1. 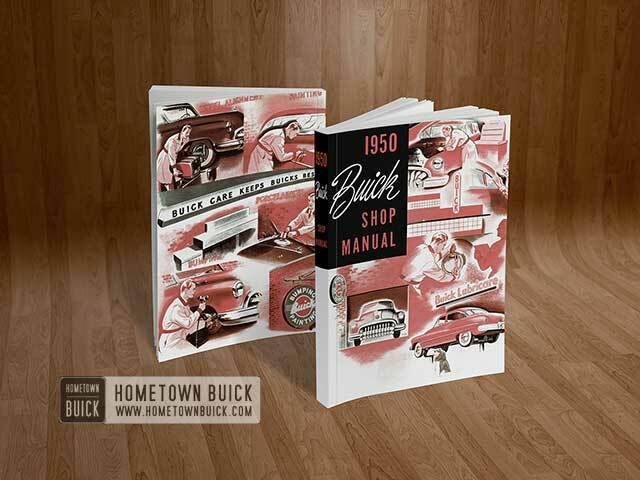 The 1950 Buick rear axle ratio is indicated by numbers stamped on underside of axle housing.